Exquisite hot sauce with layers of truffle & cumin. We swear Hunter discovered this before Oprah. Nonetheless, great minds eat alike! Truff is a blend of chili peppers, organic agave nectar, black truffle oil and savory spices. They come together in a surprising harmony that is at once powerful yet elegant. It’s spicy –no more so than Sriracha – but balanced with sweetness (agave) and earthiness (truffle). These nuances make it compatible with many foods. We were skeptical at first; how many more things can we add truffle to, after all? But we've become enamored not only with the elegant packaging, but the boundless possibilities this amazing product offers. Dash a bit on top of raw oysters, glam up baked potatoes or nachos, fold into some fluffy scrambled eggs or Hollandaise. Yes please! We're thrilled to share that our latest discovery was just included on the list of Oprah's Favorite Things! Add one to your cart and see what all the fuss is about. 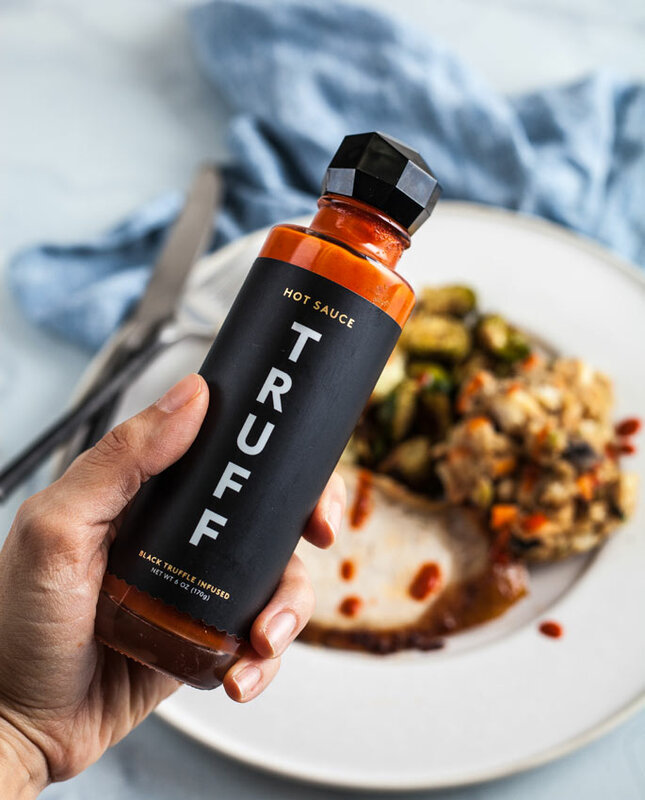 READ ALL ABOUT TRUFF HOT SAUCE ON THE BLOG! One of Oprah's (and Steadman's) favorite things!